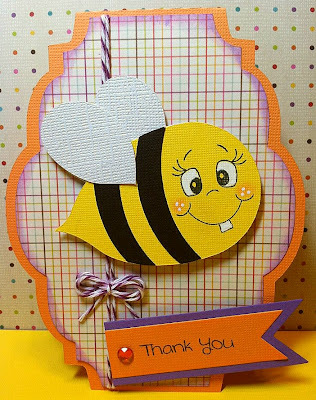 Both the Bee and the card shape were cut out from Silhouette Studio. "Thank You" is of course from Jaded Blossom and the face was stamped from Peachy Keen "The Cornies" which is my favorite peachy keen stamp set! super cute!! Love the bee! !